Gel mascara coats lashes with rich color. Apply in layers to build fabulous lashes. Designed specifically to ensure no flaking; itching; or burning during application. Available in black. Paraben-free; FD&C/D&C Dye-free. Long, beautiful lashes can stand alone with ease. Even when there’s just not enough time for shadow and liner, just a swipe of mascara can define the eyes and create a stunning look. For everyday perfection, Mirabella’s Lash Essential Mascara layers exceptionally well and easily transitions from a light to a dramatic look. Mirabella’s gel mascara coats the lashes in rich color. For subtle, light looks apply a single coat. For the more dramatic effects, apply in layers. Designed to ensure no flaking, burning or itching during application, our formulation is paraben and FD&C/D&C dye free. 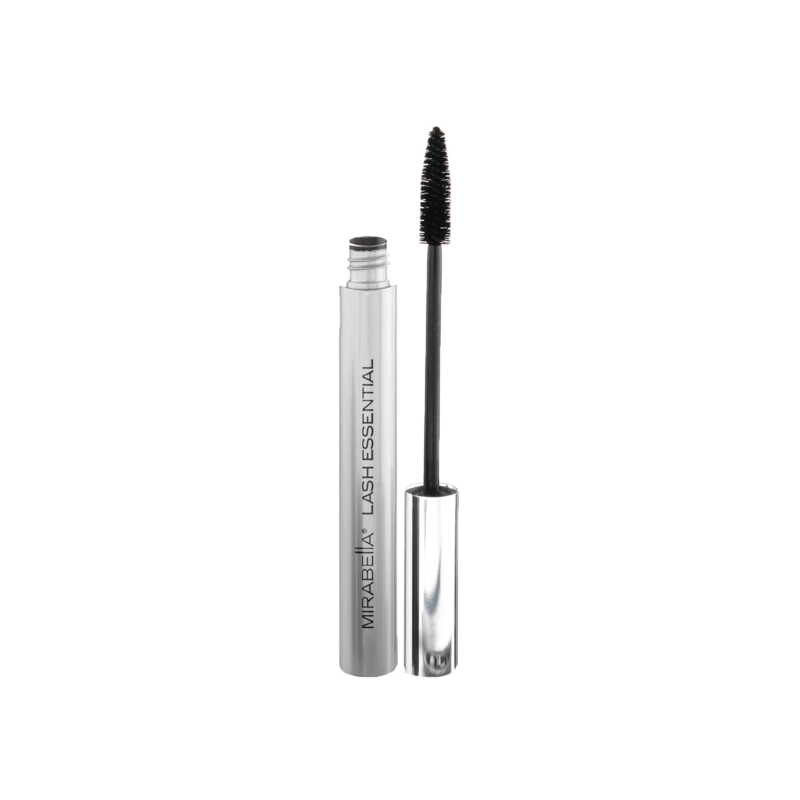 This versatile mascara is available in black.